call +1 250 285 3572 or send us an email. We are pleased to note that our dining room was recommended in National Geographic "Canada's 50 places of a Lifetime." At Gowlland Harbour Resort we always strive to exceed expectations especially when it comes to your dining pleasure. Whether you’re seated near our two-story stone fireplace or at a harbour-view window, our friendly staff will make sure you enjoy a wonderful evening. For those with unique dietary requirements, many of our menu items are gluten free. We can also prepare vegetarian or dairy free dishes upon request (see menu below). At Gowlland Harbour Resort we aim to please each of our guests. Dinner seating starts at 5:00 pm and is by reservation. Call +1 250 285 3572. Please call ahead for reservations. The dining room and patio are available for special events and group functions. 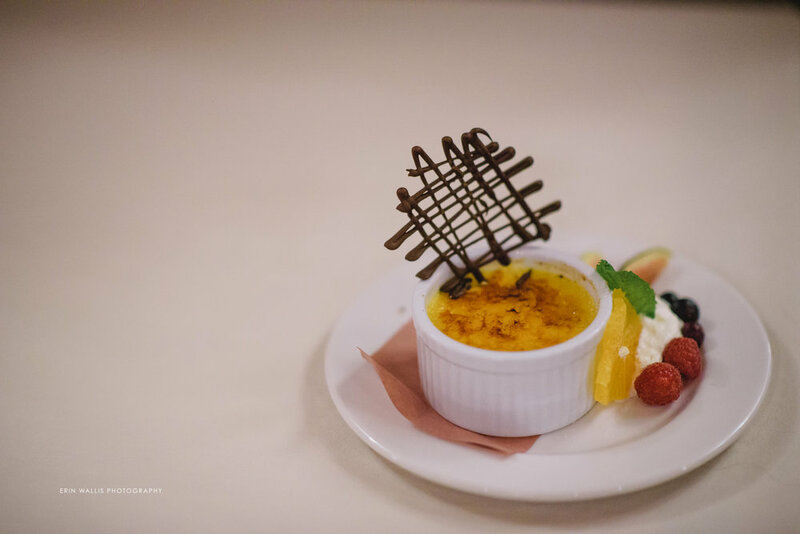 Our dining room is fully-licensed and has a lounge area which features a wood-burning stone fireplace, cozy conversation areas, gorgeous ocean views and a large outdoor patio for making the most of warm summer evenings. 2 Eggs, Any Style, Choice of Sausage or Bacon, Hash Browns & Multi Grain Toast. Cold Smoked Salmon Lox, Spinach, Poached Eggs, Toasted English Muffin, Classic Hollandaise, Capers & Hash Browns. Toasted English Muffin, Oven Roasted Tomato, Bacon, Classic Hollandaise. Maple Bacon, Carmelized Onion and Asiago Cheese.